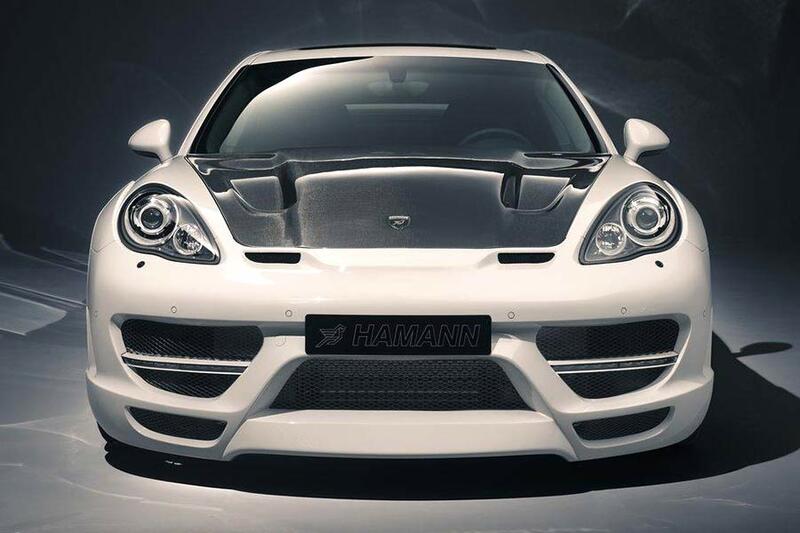 Laupheim-based tuning specialist Hamann Motorsport has updated its previously seen Cyrano program for 2012. 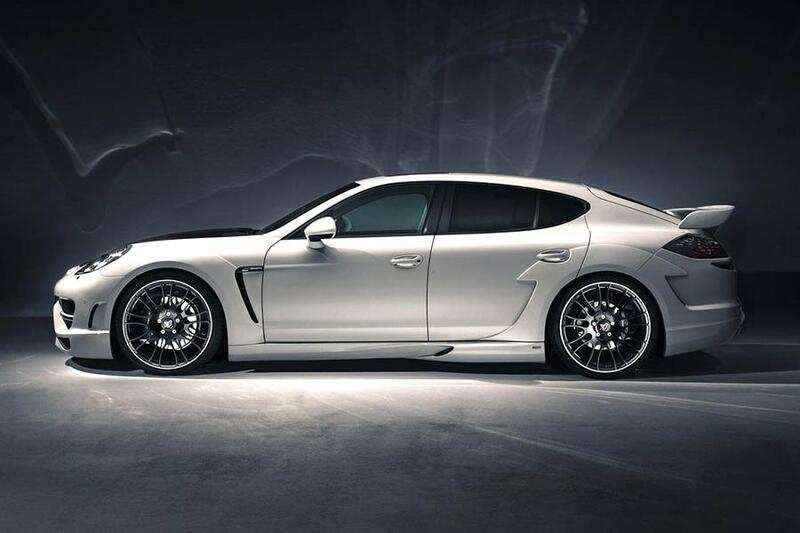 Based on Porsche’s mighty Panamera Turbo, Hamann’s engine upgrade sees output from the 4.8-litre V8 rise from 500 hp (368 kW) and 700 Nm of torque to 603 hp (443 kW) and 870 Nm. 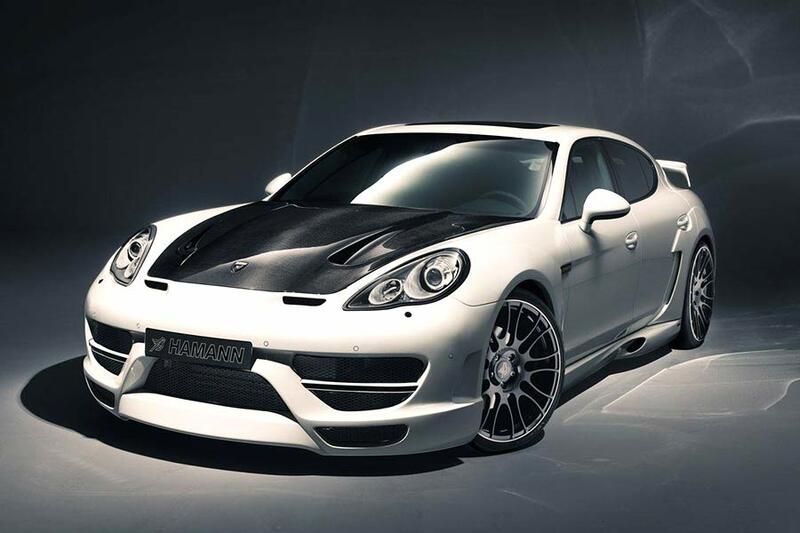 Those figures translate to a 0-100 km/h time of 3.9 seconds, with 200 km/h appearing in 12.6s but, with the Sport Chrono Package activated, those times drop to 3.7s and 12.4s respectively. Top speed is a pleasant 315 km/h (195 mph). 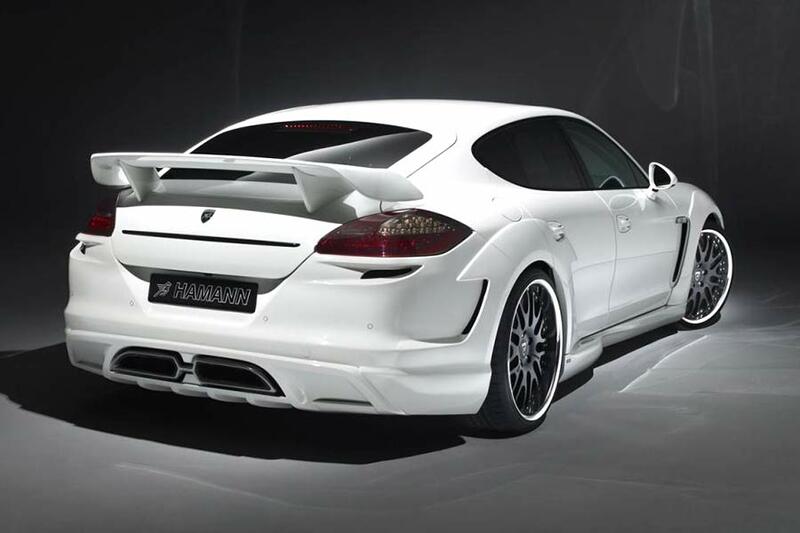 The body package includes a revised front fascia with larger intakes and LED daytime running lights, wider, vented front and rear fender extensions, side skirts, GT wing, rear bumper with integrated diffuser and behemothic twin tailpipes. 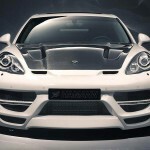 The clear-coated carbon fibre hood is optional. Completing the aesthetics is a -35mm spring kit or -30mm air suspension module, while the Unique Forged ‘Gunmetal’ wheels, sized 9.5 and 11×22 inches, are wrapped in 265/30 ZR 22 and 305/25 ZR 22 tyres. Inside the cabin, Hamann provides a leather/Alcantara steering wheel, carbon fibre trim elements, embossed headrests, aluminium pedals and leather floor mats.